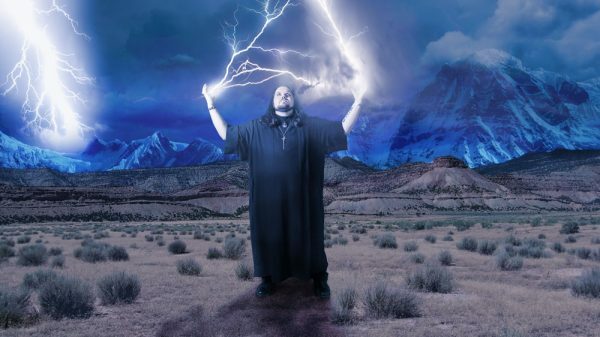 The Green Screen Art Experience (GSAE) is a crossover between DarkestGoth Photography (DGP) — the photographic and news arm of DarkestGoth Magazine (DGM) — and the folks at the internationally published special effects book, Green Screen Made Easy (GSME), published by Michael Weise Productions. 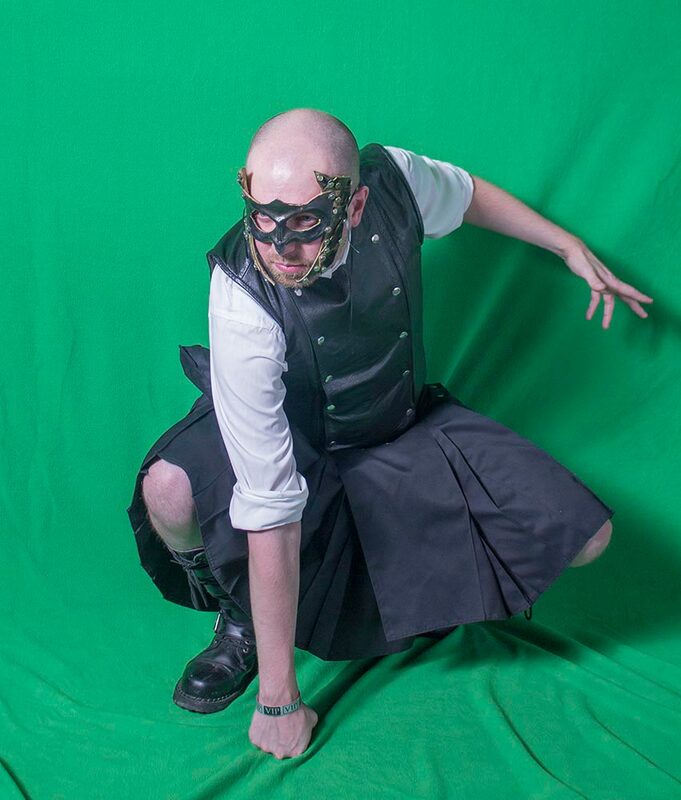 This Art Experience takes photos of partygoers and models in front of a green screen at select DarkestGoth events with an eye toward creating potential effects artwork and assets, with these elements being made available to the attendees, as well as to DGM and the folks at Green Screen Made Easy (GSME). If you were at a recent GSAE event and wanted to purchase additional images from the event (beyond the free ones included with your attendance), you can do so at our GSAE Payment page. 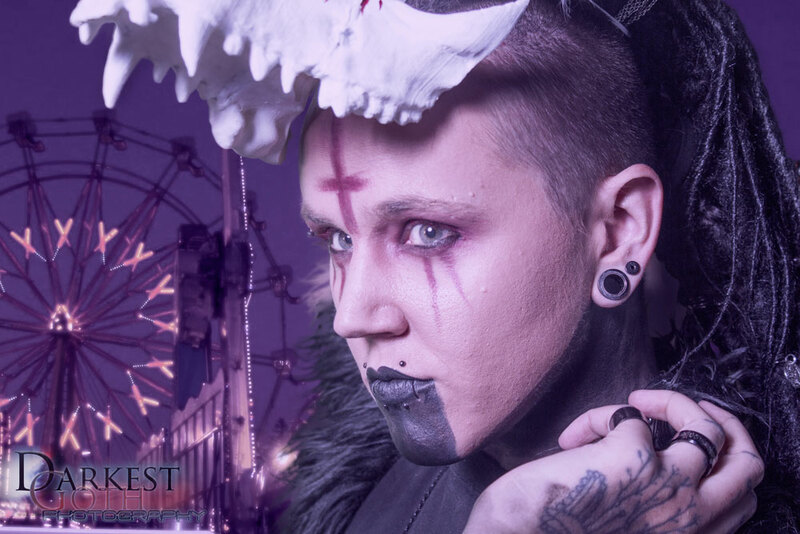 The creators of Green Screen Made Easy teamed up with DarkestGoth Photography to help create this Experience. The color green is used minimally in human skin, clothing, and makeup; however, digital cameras record more green data than any other color. As such, when you take a picture of someone in front of a green background, it’s much easier to remove that background after the fact (through a process called “compositing”) and make it appear as though the person is standing in front of some other background or vista. Does a green screen background automatically vanish when you take a picture of it? 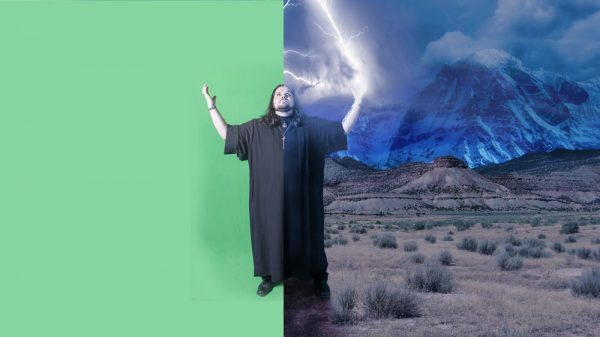 Sometimes called “keying“, green screen compositing is a form of multiplayer photography where the top layer (called the “foreground”) has the green backdrop turn transparent so you can see through it to a layer below it (called “the background”). This permits you to put people in completely new environments and locations than you can afford to go to–and can really unlock creativity in amazing ways! What can I expect to receive as a participant in the Green Screen Art Experience? Can I get more than one picture? For a chance to receive images after the fact, no more than 2, but one is preferred. Why can’t more than two people be in a photo? While we have done this in the past, we’ve found that group photos of 3 or more are almost never useable for compositing, as members of groups move to different focal lengths, step off the background, bump into the background and/or cast shadows that make compositing very difficult. As such, we no longer offer them. Why can’t all participants receive a composited version of their image, like green screen kiosks at the mall? Because DGP creates artwork, we don’t use automated, two-layer composite process the way green screen kiosks do. Instead, we manually combine up to six different photographs and as many as a hundred layers to make the pieces we do. This often takes 5-10 hours per piece, so there’s no way we could do this for everyone. How many participants per event will be chosen for a high quality composited artwork to be created by DGP? On average, 2 to 4 people will be selected per event. What are ways to increase my chances chances of being selected to be included in a piece of DGP artwork? DON’T wear the color green on your clothes, your makeup, in your hair, or on your jewelry. These will punch “holes” in the body during compositing, so this will normally disqualify participants who do this. DO wear interesting and/or colorful outfits/costumes and makeup. So long as it’s not green, interesting outfits and looks will make participants stand out and will make us more interested in featuring them. DO think of a fictional character you’d like to be like and pose in ways that you think they would. For non-actors, imagining a character and acting like that character will create interesting expressions and body language that makes for dynamic images. DO solo pictures, not couples. A clean composite is far easier to accomplish with single participants, as groups add extra shadows, wrinkles, and other compositing problems. DO stand as close to the edge of the Greenscreen as you can without stepping off the edge. If participants get too close to the back of the screen, it will reflect green on to them and make them very difficult to composite. How do I composite an image myself? First, check the Green Screen Made Easy page for some overall tips, then look at the system that you’re using below. 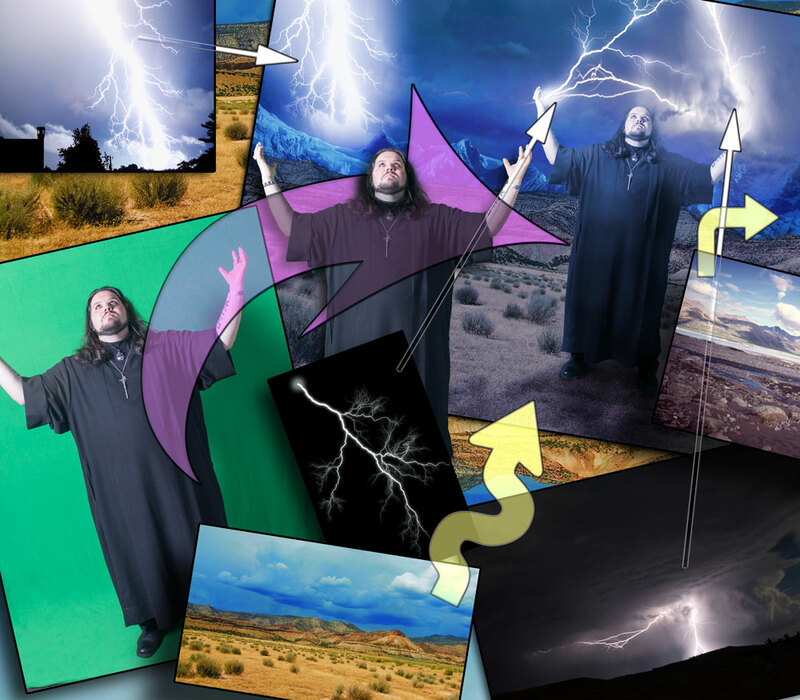 Assets: Download green screen photos and backgrounds at the Green Screen Art Experience facebook page. Apps: App crawler has a list of some of popular chroma key (“green screen”) apps for Android here (as well as a list of some of the popular green screen effects apps–which is a slightly different list). Article: This article from instructables promises to teach you how to chroma key on your android phone easily. Video: Here’s a video recorded recently about different options for green screen on android. Apps: App crawler has a list of some popular chromakey apps for iOS here. Article: Finally, we ran across an article about doing greenscreen photography with an ipad that might be useful. Green Screen Art Experience events are currently being incorporated in various official DarkestGoth events in the Midwest United States. Follow the GSAE facebook page and subscribe to the DGM Midwest calendar to find DGM events that state they include our Green Screen opportunities. 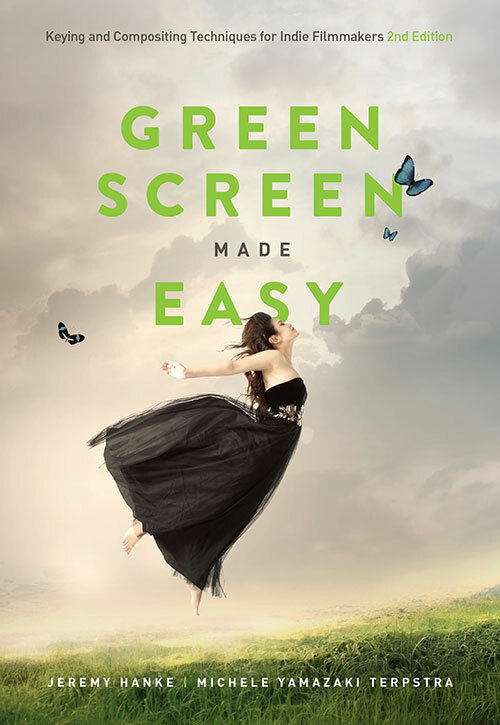 If you’d like to learn even more about Green Screen and doing your own shoots, you can pick up a copy of Green Screen Made Easy at a discount here.